Wondering what a post-MTD world will look like? Here are Matt Flanagan’s predictions for the accounting industry after April 2019. Making Tax Digital (MTD) has either been talked about too much or not enough. HMRC have been blamed of not talking about it enough with accountants or business owners - instead, leaving it to accountants to make clients aware of the legislative change. On the other hand, every other word in the industry seems to circle back to MTD or Brexit. The one thing the two have in common? Many businesses remain in the dark about their obligations under the new legislation. ICAEW’s survey found that only half (51%) of all UK VAT-registered businesses had heard of MTD for VAT, with 46% not using accounting software. And according to the House of Lords report published in November, around 400,000 companies (around a third of those affected) are still not aware they will have to file digitally. According to Matt Flanagan, cloud conversion expert and director of BlueHub, after MTD’s introduction we will see a lot of confusion regarding filing VAT. Matt points to the end of May or early June 2019 to start seeing the results of HMRC’s new legislation. “Awareness will be heightened by subtle subliminal messages. ICAEW research points to only 20% VAT returns being filed through software, which leaves 800,000 VAT returns that are currently being filed manually." Yet, Matt believes that once we find a solution to Brexit, MTD will also become clearer. So, how can firms prepare for the changes, and a post-MTD world where we have (hopefully) a clearer end of the tunnel? For Matt, this is a make or break moment in the industry. The uncertainty of Brexit and MTD will almost certainly be mirrored in the lives of business-owners, navigating unknown waters. While yes, filing an incorrect tax return under MTD’s phased roll-out may not come top of concerns, it will almost certainly be one of them. The demands of MTD for a digital approach to record-keeping and data transfer also provides an opportunity. In uncertain times, this is one way businesses can have real visibility into their organisation and make better data-informed decisions. Matt sees 2019 as the year SMEs realise the benefit of regular, good-quality data for their business. This ‘make or break’ is not black and white. Rather, Matt sees two main routes accountants can take in the post-MTD world, and believes MTD will consolidate this split. “Some firms are seeking once-a-year engagements, for instance for compliance. You can work with a high number of clients, with a low margin. Chances are if you as a business-owner or accountant do not enjoy the advisory work, this is the route for you," says Matt. Ultimately, a post-MTD world is an opportunity to decide on your firm’s future. Which route will you follow, and how can you take the future into your own hands? 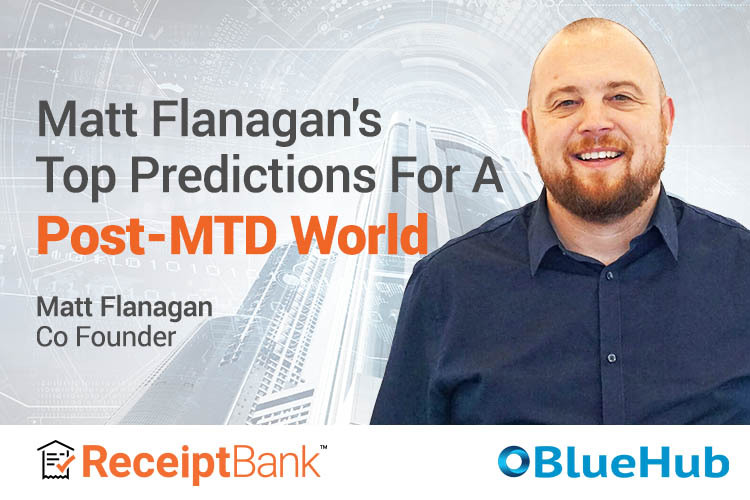 WATCH A WEBINAR WITH MATT FLANAGAN TO LEARN MORE ABOUT GETTING READY FOR MTD.